We are thrilled to announce that for our spring production of Verdi’s Falstaff, joining us on stage will be Metropolitan Opera baritone, Richard Zeller as Falstaff. Since making his Metropolitan Opera debut, he has appeared with the Met in such roles as Marcello in La bohème, Ernesto in Il Pirata, Eddie in A View from the Bridge, Coroebus in Les Troyens, and Enrico in Lucia di Lammermoor. His other opera appearances include Germont in La Traviata with Scottish Opera, Hamburgische Staatsoper, Deutsche Opera am Rhein, Portland Opera, and San Diego Opera; productions of Boris Godunov and Andrea Chénier with the Lyric Opera of Chicago; Athanaël in Thaïs with English National Opera at the Barbican in London; and in the title role in Verdi’s Macbeth with Opera de Bordeaux, Opera de Vichy and Portland Opera. The UNCG Opera Theatre season is partially underwritten by a generous gift from the Greensboro Opera. 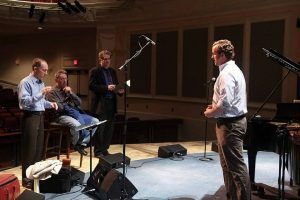 The UNCG Opera Theatre, under the direction of David Holley, annually produces at least four operas. In the fall, our annual “Tour to the Schools” reaches over 10,000 area school children and a chamber opera is presented in November (Amahl and the Night Visitors in even years). In the spring, the School of Music and the School of Theatre join forces on a large-scale opera, and the UNCG Opera Theatre collaborates with the Greensboro Opera to present GO’s signature outreach program, “Opera at the Carolina,” in which every fifth grader in Guilford County (6,000+) attends a live opera at the downtown Carolina Theatre. Since 1993, UNCG’s productions have regularly earned awards in the National Opera Association’s Annual Opera Production Competition, including seven first place awards for: Susannah, Little Women, Orpheus in the Underworld, The Consul, Dialogues of the Carmelites, Amahl and the Night Visitors, and Don Giovanni. Second place was awarded for our productions of Gianni Schicchi, Albert Herring, La vida breve, L’Enfant et les Sortilèges, and Philip Glass’s Galileo Galilei, which Mr. Glass attended, and he worked with our cast. In the spring of 2009, the UNCG Opera Theatre proudly presented the world premiere of Libby Larsen’s Picnic which was commissioned in 2004 by a generous grant from the Charles A. Babock Foundation. Other significant UNCG Opera Theatre highlights include the 2003 North Carolina premier of Mark Adamo’s Little Women. Mr. Adamo attended opening night and was in residence to work with the cast for several days the week before. As a result, audio excerpts from our production appear (upon Mr. Adamo’s recommendation) on Thirty New Operas, a two-CD set that G. Schirmer has produced and distributed to opera companies worldwide. Alumni of the UNCG College of Visual and Performing Arts have been on the rosters of some of the world’s most prestigious stages, including the Metropolitan Opera (Joel Sorensen, Sidney Outlay, Ian Greenlaw), The New York City Opera (Jason Karn), The Chicago Lyric Opera (Melinda Whittington), The San Francisco Opera (Joel Sorensen), and The Houston Grand Opera (Tyler Smith), and as well as major summer festivals, such as Wolf Trap (Melinda Whittington) and Central City Opera (Andrew Owens). There are many performing opportunities in the Greensboro area for aspiring professional singers. The UNCG Opera Theatre has an official partnership with Greensboro Opera, which provides an excellent opportunity for UNCG’s students to gain valuable experience alongside seasoned professionals. 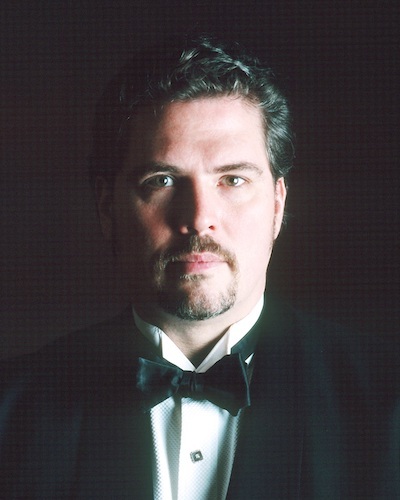 David Holley was appointed Artistic Director of Greensboro Opera in 2013, and artists recently appearing in Greensboro include several on the roster of the Metropolitan Opera (Sandra Piques Eddy, René Barbera, Ashley Emerson, Sidney Outlaw, and David Pershall). UNCG students have been cast in supporting roles and are often hired to sing in the chorus. In addition, Piedmont Opera (Winston-Salem), North Carolina Opera (Raleigh), and Opera Carolina (Charlotte) are all thriving regional companies within 90 minutes of Greensboro. 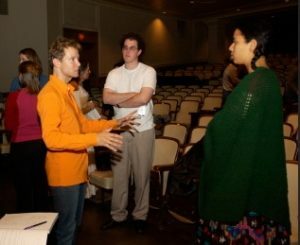 One of the primary missions of the UNCG Opera Theatre is outreach to the community, and in particular, educating children about opera. Activities include on-campus matinee performances and an annual tour to elementary schools; the latter has trained many singers who have gone on to year-round Young Artist Programs in which they perform children’s programs for regional companies and summer YAP’s. The UNCG Opera Theatre annually introduces over 18,000 school children to the wonderful world of opera. Additional partnerships forged with Triad organizations include collaborations with The Philharmonia of Greensboro and the North State Chorale (Cavalleria Rusticana, Susannah), The English Speaking Union of Greensboro (Trial by Jury), The Greensboro Youth Chorus (Hansel and Gretel and La bohème), West Market United Methodist Church (The Wise Women), Our Lady of Grace Catholic Church (Dialogues of the Carmelites), and The Music Academy of North Carolina and Westover Church (Amahl and the Night Visitors). The UNCG Opera Theatre benefits from the strong Collaborative Piano program, led by Dr. James Douglass. Many singers have individual coaching with Dr. Douglass or Professor Rebecca Wilt, and many times the graduate assistant pianists assigned to the opera theatre are in the collaborative program, creating a dynamic process in which both singers and pianists learn from each other. The UNCG Opera Theatre believes that the cultural education of our young children is of utmost importance. Read about the UNCG Opera Theatre Outreach Program. 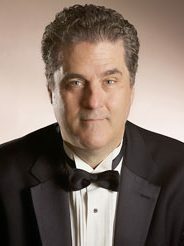 GLOS is led by founder and Artistic Director, David Holley, who is also the Artistic Director of Greensboro Opera, Past President of the National Opera Association and the Director of Opera at the University of North Carolina at Greensboro. The GLOS faculty has taught and worked at prestigious summer festivals in the US and abroad, including AIMS (Graz), the Schlern International Music Festival, the Ohio Light Opera, and the Brevard Music Center. The program is partially administered through the UNCG Online, and thus, academic credit (3 credit hours) is earned during the program.